In 2008, we were pleased to have Iris join us as an attendee at the very first Cabin Fever Clay Fest. In 2013, Iris will be returning to CFCF as one of our dear friends and an international instructor from Israel. She has always been attracted to art, fashion design, graphic design and in 2005, became captivated by the charms of Polymer Clay. As the story goes, she was hooked! She’s created an incredible business venture in Israel with fans all around the world. She develops unique tutorials and publishes a blog, providing current info and highlighting beautiful polymer work and techniques from artists around the world. We welcome Iris back and can’t wait to see the fun she brings with her! IRIS MISHLY – SKYSCRAPER AND FLAKES (Pre-conference) Full day 9AM – 5PM Sun. 17 Feb.
Iris Mishly joins us all the way from Israel to teach her unique liquid polymer clay techniques. In this workshop, you will create two projects and learn some of the best ways to use liquid polymer clay. You will create exquisite, irresistible designs that people won’t believe are polymer. In the special “liquidly” edition the students will learn “The Skyscraper Technique”, with special 3-D effects, metallic and glowing optical illusions. 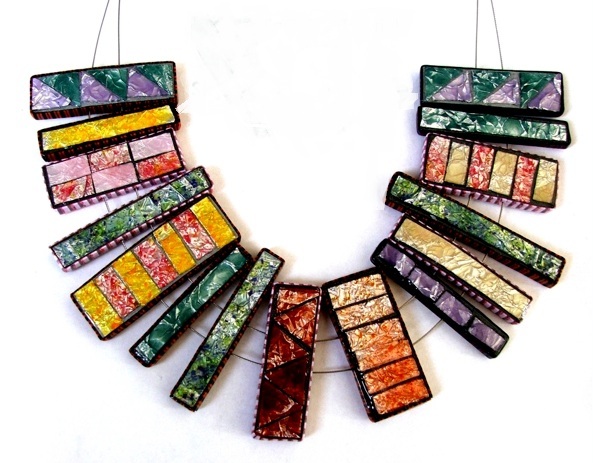 In addition, you will learn the “Flakes” Technique with DiscChic metal blanks, curing and stringing the discs into a necklace or an earring set. The Brocade collection is an innovative design which was inspired by fashion. In this workshop, we will mix media and combine techniques, developing intriguing shapes and patterns as the focus of this class. You will learn how to create this unusual mixed media project which can be transformed into unlimited designs. 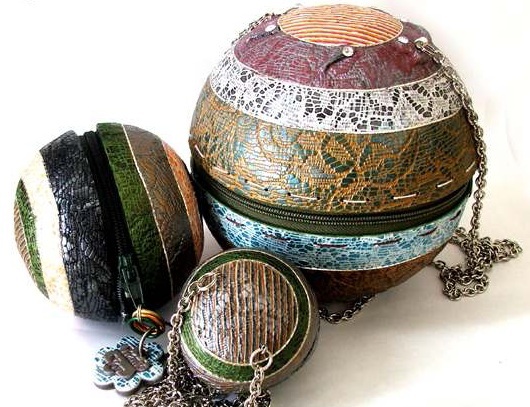 Each student will create a 5 cm round “Brocade Collection” purse from start to finish, including all components: polymer clay, decoration and zipper.